This will be my 40th Christmas and Chanukah and if there is anything I have learned from experience, is that there are many, many, MANY opportunities to a) exhaust ourselves in the kitchen, b) wrack our brains for the perfect teacher or hostess gift and c) you don’t have to overdose on turkey and latkes- there are other options. We can take refuge in Premier Moisson who can help us to overcome our potential holiday shortcomings! I love bringing my hosts a gift that is memorable – one that will stand-out from the typical box of chocolates or bottle of wine. 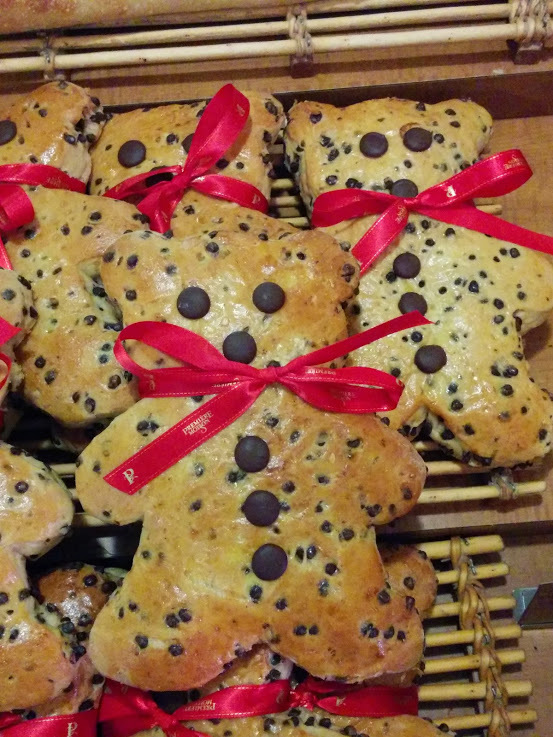 Wouldn’t it be thoughtful to bring to a dinner a cute chocolate-chip teddy bear bread so that your host can enjoy breakfast the next morning before tackling the mountain of dishes from the night before? At $5.45, this bread is slightly sweet and makes a fine Nutella-on toast replacement and will be sure to bring smiles to all those around. A “loaf” weighs in at 400 grams and serves 6-8. Orange Cranberry and Grand Marnier Marmelade. Premiere Moisson. Photo Esther Szeben. If your host’s are more traditional, they might appreciate the more customary chocolates, candies or preserves. 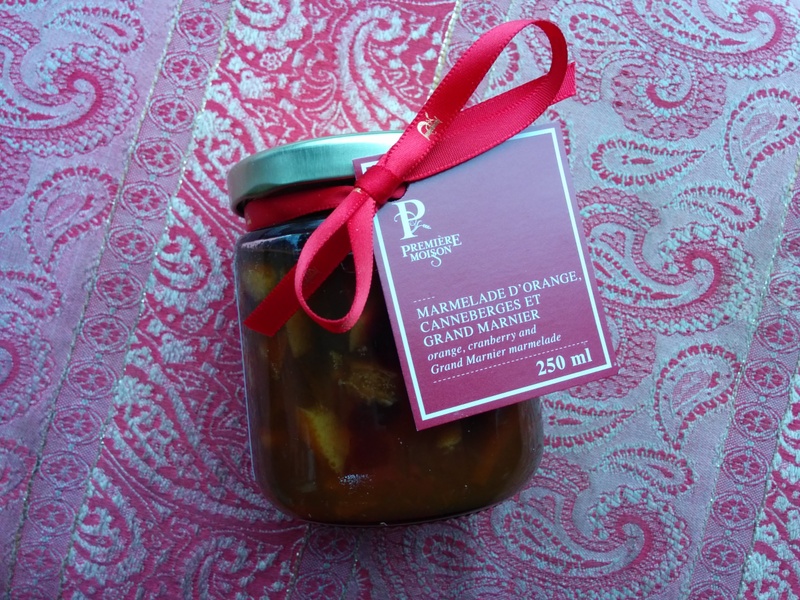 One such preserve that Premier Moisson launched for the holiday season is orange, cranberry and Grand Marnier marmalade. 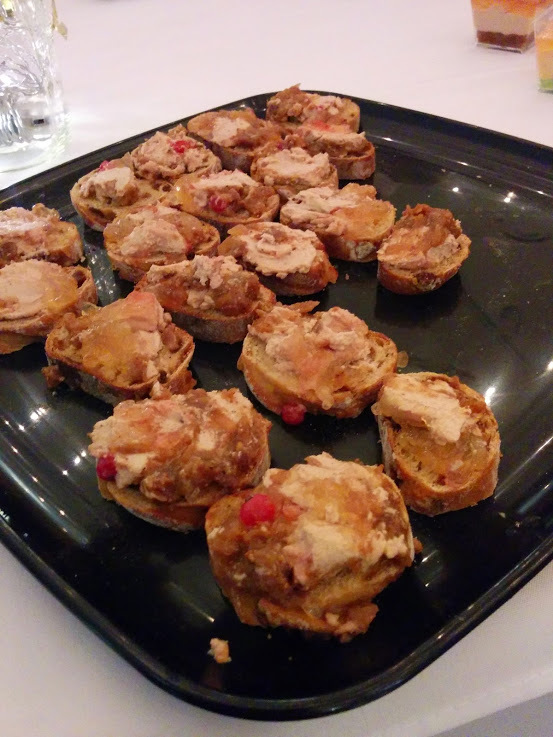 It also pairs beautifully with their foie gras or salmon mousse over their crusty and mildly sweet fig bread to make a tasty canapé. This special baguette would also go beautifully with your cheese plate. 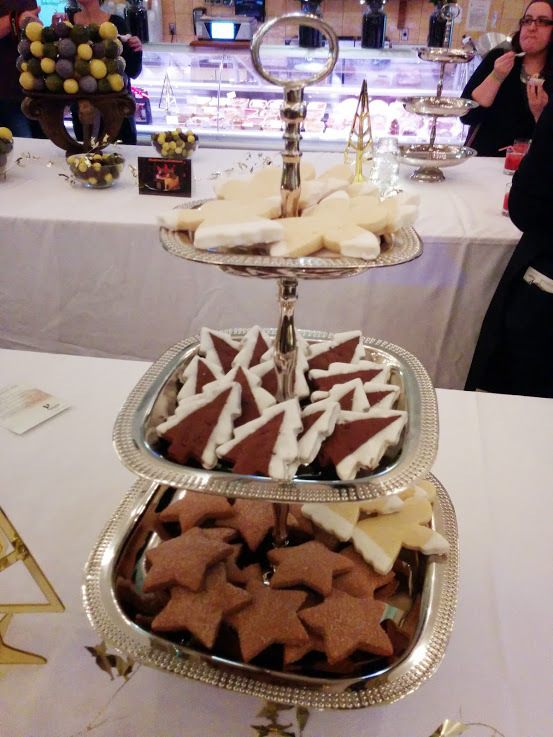 You also have a choice of chocolate nut brittle, candied nut brittle, small chocolate Florentines and a variety of ginger and shortbread cookies. Holiday Cookies. Premiere MOisson. Photo Esther Szeben. While you are still in the planning stages of your holiday repertoire, consider the time and money saved from buying ingredients and toiling at the counter preparing your tortières. I love to cook during the holidays, but 39 previous holidays have wizened me up to know that I need to supplement with outsourced goods. Premier Moisson has a variety of savoury pies. Goose and wild mushroom feuilleté is a meat pie made in a buttery puff pastry crust. My favourite though was the Feuilleté forestier et Fromage le 1608 filled with spinach, a variety of fresh wild mushrooms and the Quebec produced cheese. They also have a gamy deer torte which in my house would be a suitable substitute for the chronic minced beef, pork, and veal that emerges at our Christmas table every year. Salmon Log. Photo Esther Szeben. 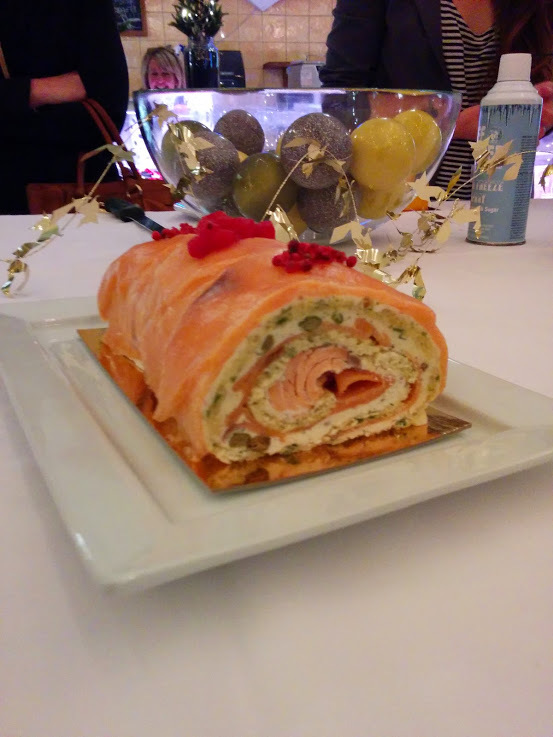 The Salmon Bûche is intense in flavours with a poached salmon center, paired with a creamy dill mousse wrapped with a sweet sponge cake to help give it shape is a beautiful contrast of sweet with salty. It is layered with smoked salmon and dotted with fresh peppercorns and preserved red currents. It is rich, so a small slice over a bed or greens would make a suitable appetizer -and a beautiful, but short lived center piece! Trio of Chocolate. Photo Esther Szeben. It wouldn’t be the holidays without the calorific cakes. Gluten-free fans will be delighted to have the Chocolate Trio. The style is reminiscent of an Opera cake, made small, but petite portions are key to enjoying the intensity of flavours. Single Portion Signature Buche. Photo Esther Szeben. Premier Moisson has paired up with Montreal’s world renowned Cirque du Soleil to help commemorate their 30th birthday. Their signature bûche is an incredible infusion of flavours. If you want to impress your guests, this is the cake to do it. 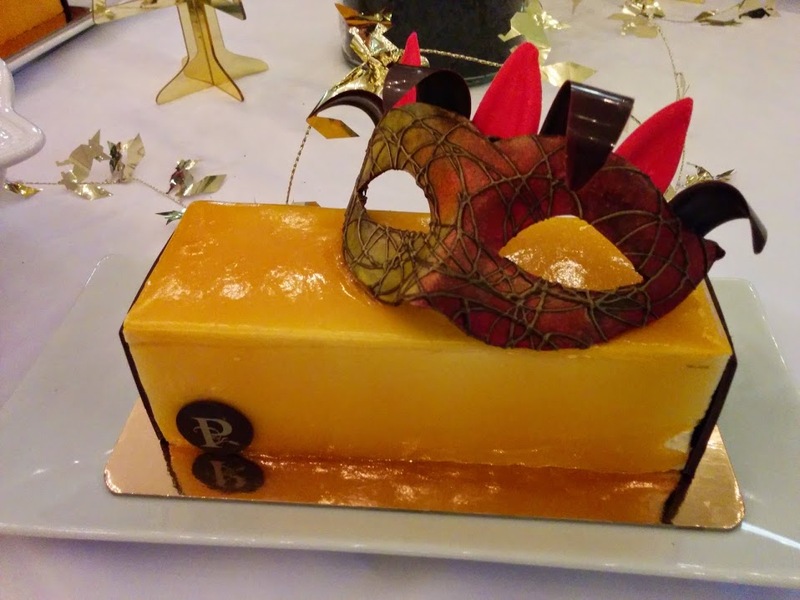 Elegantly designed by pastry chef, Patrick Montreuil, the theatrically molded chocolate mask lays on top of the rectangular log of a myriad of flavours. 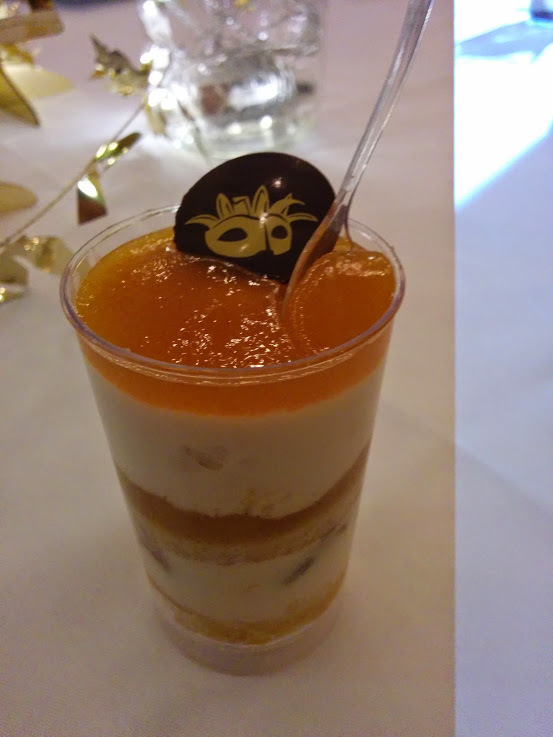 A combination of almond and exotic fruit flavours will impress your guests and your palette, with a nougat mousse base, a combination of pineapple marmalade, lemon cookie interspersed with caramelised nuts covered in milk chocolate enclosed in a brilliant mango and passion fruit glaze. If you are hosting a large event and want simplicity from the details of cutting and distributing slices, you can order individual portions served in a cup for $3.95. 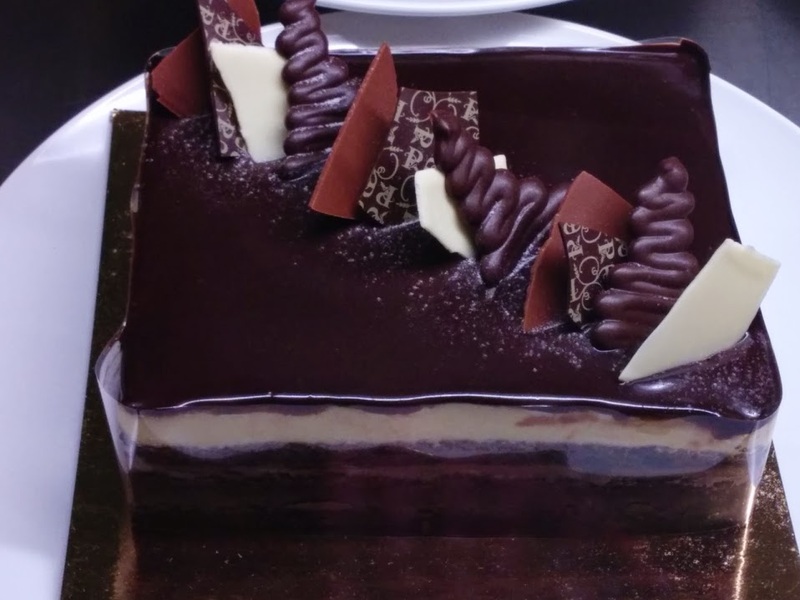 While $46.95 may seem pricy for serving 8-10 portions, Premier Moisson is donating $20 per bûche to La Tablée des Chefs, an organization in Quebec that aims to feed and educate families in need. Consult their website for a list of stores that will carry this limited edition design. Signature Cirque Buche. Photo Esther Szeben. Let’s face it – today’s demographic of blended families vs the conventional nuclear family, or extended family gatherings often dictates multiple dining events. Premier Moisson offers one-stop shopping that will help you enjoy the holidays for what they are: a time for reflection, a time to share and enjoy your time with loved ones and time to savour the holiday flavours that we normally only enjoy at this time of year. 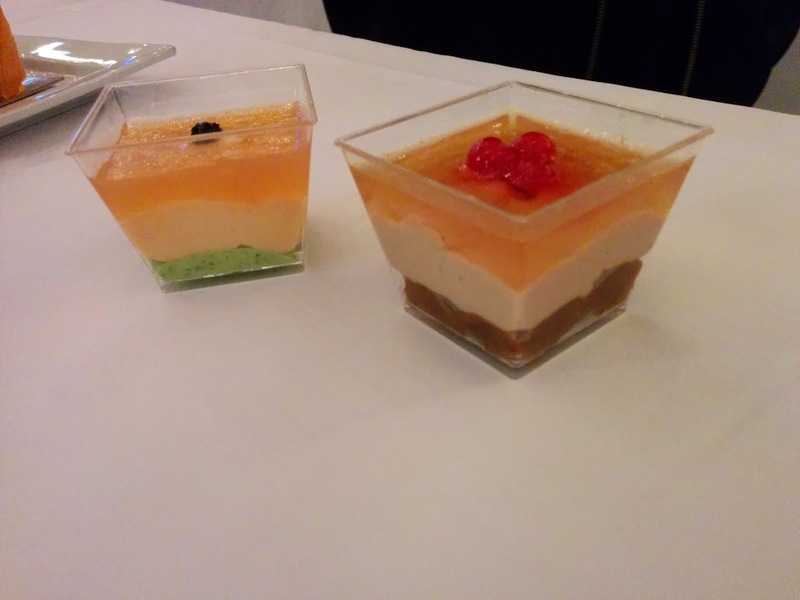 Salmon or Foie Gras Verrine. Photo Esther Szeben.